Happy Irish Language (Gaeilge) Week! 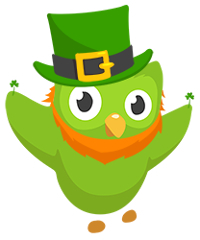 Every year in the run-up to St. Patrick’s Day there’s a festival that runs in Ireland and in many other pockets of the globe from the 1st to the 17th of March which is aimed at celebrating and raising awareness of the Irish language and culture. In my home town of Brisbane it coincides with the Brisbane Irish Festival – a week full of activities (music, film, parades and so on) for the Irish community and those of Irish descent. 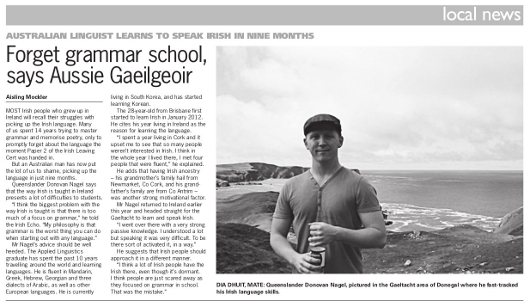 In 2012 I taught myself the Irish language while living on the other side of the world with limited resources. I spent almost the entire year going from absolutely zero knowledge of the language to fluency (with a lot of frustrating hours of poor resources and not having anyone to practice with), and then I finally jetted off to the other side of the world to the Irish Gaeltacht in Donegal to put everything I learned to use. 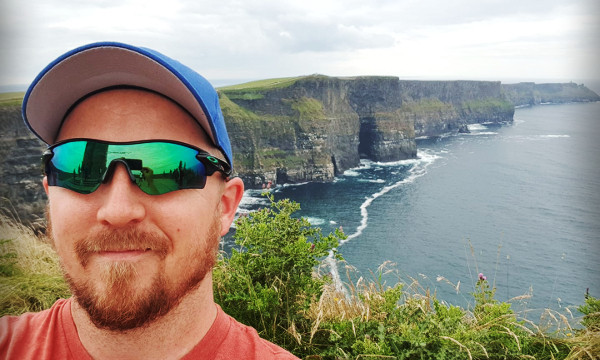 After all the hard work I put into learning Irish and documenting my progress here on this blog, it was the perfect climax for me to travel all the way to Ireland from Australia and be surrounded by the language for several weeks. Since the end of 2012, I’ve been distracted with other languages (living in lots of different countries) but Irish is always very near and dear to my heart so I like to revisit it from time to time in order to keep it fresh in my mind until my next visit to Ireland. If you’re just starting out with Irish, it can be a little difficult to know where to start and what the best resources out there are so the list below will be helpful to you. If there’s anything you think you should be on this list, please share it in the comment section below. These are some of the best quality resources currently available for Irish (Gaeilge). I’ve tried to highlight the dialects where possible because one really frustrating thing you’ll face when learning Irish is not being able to work out which dialect a resource is teaching if it isn’t stated clearly. There are four provinces in Ireland – Munster, Connacht, Ulster and Leinster. Leinster is the only province that no longer has a living dialect of its own. All Irish dialects are, for the most part, very similar and mutually intelligible (speakers can understand each other) but for us learners it can be challenging at first – especially if you’ve only used a book that focuses on one specific dialect. Some resources teach what’s called Caighdeán Oifigiúil (Official Standard) as well which is not a ‘natural’ dialect but rather prescribed pronunciation and spelling designed to bridge all the dialects. You’ll still find that even though people may be using standard Irish, their own dialect’s accent is still there. My advice is to not get too hung up on the differences early on and to use whatever’s at your disposal for now. Irish pronunciation at first can be super tricky to get your head around. If you see a word that you can’t pronounce, I recommend Forvo (multi-dialect) and Abair.ie (Connemara and Ulster). Glossika has always been one of my all-time favorite tools for language learning. In my opinion, it’s one of the most innovative and unique methods on the market today – probably unlike anything else you’ve come across (you can read my Glossika review and interview with the founder here). To sum it up in a nutshell: it focuses on high-repetition of sentence patterns in Irish using their own spaced-repetition algorithm. They recently released an Irish edition on their popular platform with a speaker from Connemara. I have to list this first as I think it’s great, it’s completely free and Duolingo is one of the most popular language learning platforms out there. The Irish version was released not too long ago and I’ve been using it as a fun way to refresh my Irish since. My only issue with Duolingo in general is that it’s not a tool for improving your conversation or listening skills. It will give you a great foundation in the language without boring you to tears but to become a better speaker you definitely need to use it in conjunction with other things (especially practice with people!). For speaking practice I would ordinarily recommend a service like italki which connects you with native speaker teachers and tutors but unfortunately it currently only has 1 Irish teacher available (hopefully native Irish speakers read this and sign up to fill the demand). Another option I’ve found useful is the GaelSkype group on Facebook which was set up to connect learners on Skype. This is by far the best resource for Irish ever made in my opinion. I’ve already reviewed this in detail before (read it here or watch the video below) along with the web version of the book called Ranganna.com (I prefer the book but the website has some video as well). The books cover all dialects of Irish and are some of the best quality language books (including the audio) I’ve ever used. If there’s one thing on this list that you get, make it this. I recently reviewed the Pimsleur series here. It’s a purely audio-based course that emphasizes speaking and periodic, timed recall of what you learned earlier. The Irish edition is a “compact” edition which means its shorter than many of their other titles but it’s great as a foundation builder for learning Irish. A brilliant web resource for learning Munster Irish that breaks the language down into small, very simplified lessons. 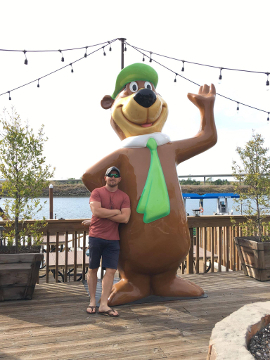 I hung out with Eoin a while back in Ireland and made use of Bitesize Irish myself when I started learning. He really knows his stuff and this is the only interactive site of its kind for Irish (especially useful for people interested in the Munster dialect). 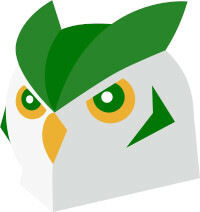 Eoin also put together a downloadable beginner course called Learn Irish With Eoin. Three separate books that are all part of the Teach Yourself series (each with a different focus). Speak Irish is a purely audio course (along the same lines as but not the same as Pimsleur). Irish Grammar will suit anyone looking to improve reading and writing skills, or to get a better understanding of the nitty gritty of Irish sentence structure. Complete Irish is the best of both worlds. There is an older version for Irish by Teach Yourself which focuses on Munster Irish and has dialogue from West Cork speakers but I’m not sure if it’s still being made (real shame if it’s not). 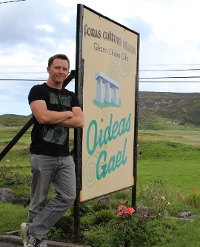 Oideas Gael is the adult immersion school in Gleann Cholm Cille where I went to practice my Irish (see the video above). They produced this book (with audio) which I think is absolutely outstanding (the design, content and quality of the audio) and a must-have starting point for anyone wanting to focus on Ulster Irish especially. The Colloquial series (like Teach Yourself) has been around for a long time, covers many languages and is really hit-and-miss in terms of quality. Some of them are great and some of them aren’t worth the paper they’re written on. Colloquial Irish is one of the better books in the Colloquial series. As a resource for quality Connemara dialogues, this is one of the best I’ve used. Irish On Your Own is a highly practical, topic-based book with audio in the Ulster dialect. Instead of focusing on grammar explanations, each chapter/unit introduces a practical topic and then gives you a load of phrases and expressions you can use to communicate about it. The audio’s a bit hard to keep up with though but the content is still great (if you can handle pausing and rewinding a lot to catch what’s being said). It’s a very handy resource for new Ulster dialect learners. Turas Teanga is perfect for anyone with a bit of a foundation in Irish already. An Grá Faoi Ghlas is like a Big Brother spoof where a bunch of a random people are put in a house and interact with each other. The best part is, they all speak different dialects (so you get to hear a range of different accents) and the actors speak at an Elementary – Lower Intermediate level so it’s very easy to keep up with after you’ve covered the basics of Irish. I was a little bit reluctant to post this one admittedly due to it being a fairly dense coursework book (more of a typical grammar + exercise book) but it’s good quality and quite comprehensive so it may suit some learners. The book itself is very popular (and the content is excellent) but I personally find coursework material like this to be too tedious when starting out with a new language. If you enjoy detailed grammar study then I recommend it. Buntus Cainte’s a three-volume series that’s as old as the hills and yet still considered by many as one of the best book series ever made for learning Irish. I’m not sure exactly what their affiliation with Buntus Cainte is but there’s a site called TalkIrish.com that offers Buntus Cainte as a downloadable MP3 course and an ‘online interactive course’ as well. For anyone who’s already done some Irish and past the easy stuff already, An Ghaeilge Bheo is one of the best things I’ve ever seen. It’s jam-packed full of very high quality listening material with transcripts in all dialects and covers a range of interesting topics. For each natural dialogue, the book goes into detail exploring and examining the unique vocabulary, grammar and expressions used by people from different parts of Ireland. If you’re a serious learner of Irish, you must own this. In addition to all these I strongly recommend watching TG4 regularly, Ireland’s Irish language television station for listening comprehension practice. If there’s a book or resource that should be here but isn’t let us know in the comment section below. Alt breá, a Dhonabháin. Great article – very useful insight to the challenges faced by learners of minority languages. Thanks so much for providing such a great and helpful service to Irish learners. There are so many Irish dialects for learning. Has anybody used these resources for learning? Suggest me, please, something. I’m from the Sunny Coast, Australia and just read your post – Go raibh maith agat! I appreciate the links as I’ve just started learning Irish. I’m loving Bitesize Irish Gaelic and I’m in several Irish speaking Facebook groups as well as watching TV4 but these other resources look great too. 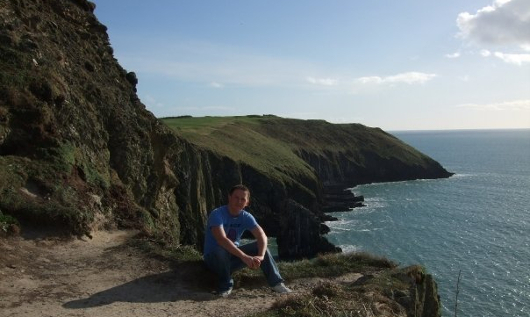 Like your early days, the thing I miss the most is other Irish speakers but maybe I need to hook up on Skype! Bígí linn. Join us on GaelSkype. I’m hoping to announce some new initiatives soon on there. I didn’t see Rosetta Stone included in your list. Are you familiar with it and if so, what are your thoughts about it for learning Irish? I haven’t tried it for Irish though yet. I stumbled on this article and because you have been more helpful than any other site, I feel obliged to leave a comment telling you how grateful I am! A lot of other sites about learning Irish all say for the most part “Don’t worry about the dialect, learn the CO and you’ll eventually pick up the dialects” but I’d prefer to learn the authentic Irish language. Thank you so much for labeling which dialects each product uses! I’ll be sure to start building up my library with these. Seo eolas iontach don fhoghlaimeoir agus don mhúinteoir. Great presentation of information for the learner and teacher. Maith thú! Go n-éirí go geal leat! Hi, thanks for the post – really helpful! Would you happen to know of any bilingual books that are translated in Irish and English? All I seem to be able to find are bilingual poetry books, which are nice but probably a little advanced for me…. no problem if not! There are Irish translations of books available in English, like The boy in the striped pyjamas and Anne Frank’s Diary. And there are English translations of books written in Irish, like An Béal bocht. And there are books written for adult learners in Irish. Niamh, I would recommend joining the FB group, Irish Learners’ Book Club. Everyone takes a turn to translate about ten sentences from a couple of books we’re reading and the more fluent members of the group correct and comment on our translations. I’ve found it really helpful for learning and also a great opportunity to read books in the Irish. At present we’re working on two books – ‘Hóng’, and ‘Cúpla Focal’ – which are advanced beginner/intermediate level. Both books are by Anna Heussaff and available from Amazon in hard copy and on Kindle. Ádh mór ort! I’m interested in learning Irish, favourably the Ulster dialect. Please, tell me yout opinion on BBC Northern Ireland’s Blas Irish lessons (http://www.bbc.co.uk/northernireland/irish/blas/learners/). I would recommend reading articles from tuairisc.ie and listening to music from Coláiste Lurgan. They translate world famous hit songs into Irish such as Shape of you by Ed Sheeran or Hello by Adele. Thank you for your informed insights into learing Irish! It’s been really helpful for me, as my father, who was originally a Munster dialect Irish speaker from Cork. Although he moved to Wales long before I was born, he taught me some Irish when I was a young child, but I forgot most of it, sadly. This was, oddly, a problem when I started to learn it over 4 decades later, as when I tried to learn the official standardised version: sometimes I just didn’t get the dialect. Now I see why! 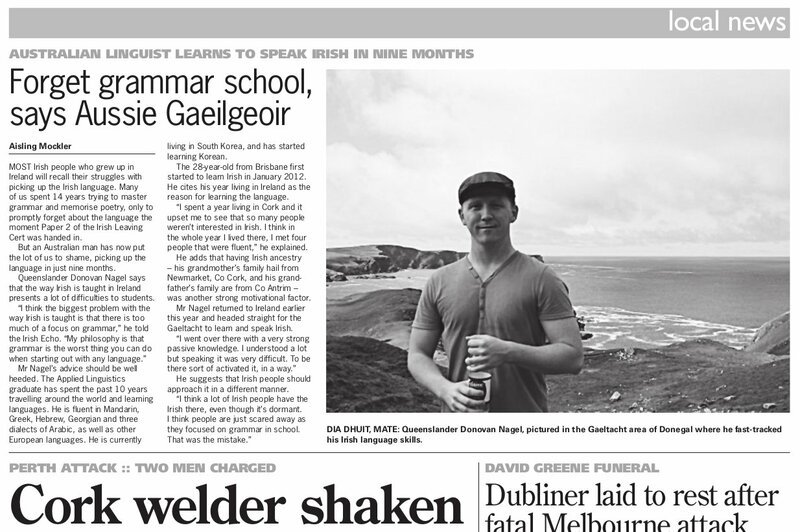 After reading this, I think the Gaeilge Gan Stró is the one for me, and since I’m always a grammar freak when learning languages, I will risk Learning Irish by Micheal O’Siadhail, knowing it’s Connemara dialect. And I said I was a grammar freak … please mentally delete the ‘who’ from that shocking clause! Duolingo is about the best I have experienced so far….. I saw that you have Irish On Your Own on this list, which I agree is a great resource. I just wanted to add that there is a site that has compiled all the videos and the audio, as well as some of the information in the book, all for free. I’m sure it’s still not quite as good as having the book, but for those of us on a budget it’s a great resource!